Have you explored our new Spring / Summer collection yet? Inspired by the British countryside, we looked to evergreen topiary knot gardens to create our Knot Garden jewellery, and the architecture and colour ways of Tudor houses for our Tudor Manor pieces. 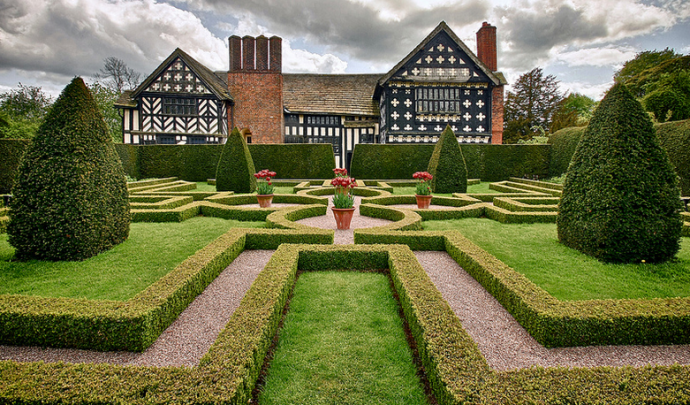 Little Moreton Hall, Cheshire - Iconic Tudor manor? Check. Knot gardens? Check. Little Moreton Hall is the epitome of our Spring / Summer collection. In the centre of a moat, this timber framed building has been standing for over 500 years, surrounded by acres of land including a topiary knot garden planted in 1972 in a style similar to the Tudor Period. There's also a tea room, gift shop and guided tours, so you can certainly make a day of it! Levens Hall, The Lake District - Levens Hall has been a family home since 1350, with over ten acres of beautiful gardens to explore. Discover romantic orchards, rose gardens, vegetable herb gardens, wildflower meadows and a willow maze, along with one of the most extensive topiary gardens in the world, with over 100 pieces clipped in abstract and individual designs, including chess pieces! 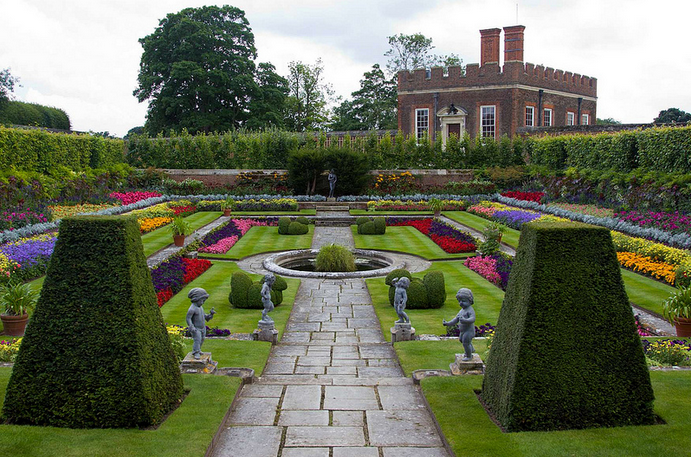 Hampton Court Gardens, London - Pop to Hampton Court and you can wander through over 60 acres of beautiful gardens that run down to the River Thames, featuring colourful flower displays, sparkling water fountains, a deer park and marble statues. You can even find the UK's oldest surviving hedge maze in the gardens - covering a third of an acre, the trapezoid maze features many intriguing twists, turns and dead ends. We've heard it's meant to take an average of 20 minutes to make it to centre, how long will it take you? 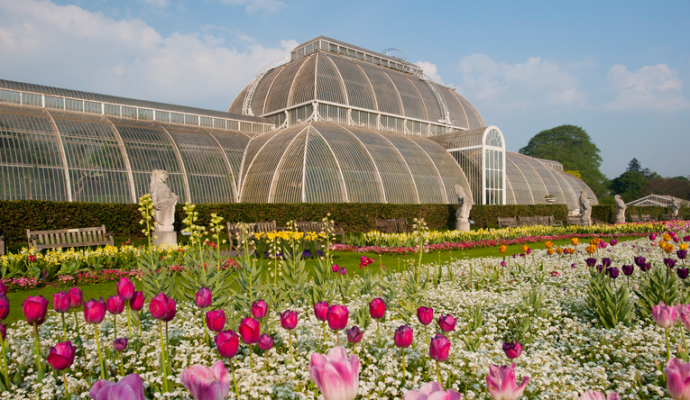 Kew Gardens, Surrey - Kew Gardens is a firm favourite at Team Tatty, with fond memories of childhood trips to the breathtaking Palm House. The gardens boast historic buildings, rare plants and flowers, iconic glasshouses and many small gardens - it will certainly take you more than a few trips to cover the whole of the gardens, but that's all part of the fun! Want to get a different view? Explore Kew 59ft above ground on Treetop Walkway and soak up the incredible sights. Will you be visiting any gardens this Spring, or do you have a favourite that you love to get lost in? Let us know on Twitter, Facebook and Instagram. If you're planning to take a trip to one of our favourite gardens, make sure to check before you travel as some do not open until late Spring. Shop our new Spring / Summer collection.